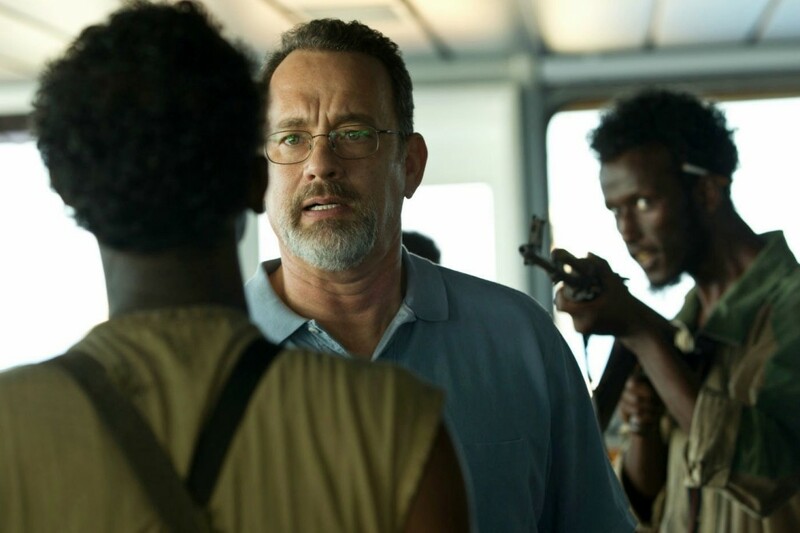 Captain Phillips is a recreation of a moment of recent history. It’s as much about the man involved in this moment as the moment itself. Richard Phillips is a captain of freighter ships who lives in Vermont but pilots his freighter ships mostly in the Arabian Sea. One day in April 2009, he’s assigned to be a captain of a freighter bringing relief supplies from Oman to Mombasa, Kenya. He accepts the duty but is well aware of the risk of pirates from Somalia once he sails around the horn of Africa. Meanwhile in Somalia, a group of pirate leaders recruit young men for their next sting. It could be big, it could be small, it’s all in a day’s work. Captain Phillips is sailing the freighter Maersk Alabama through the Arabian Sea. He’s also taking all precautions to prevent a pirate attack including getting the ship to participate in a drill. The pirates are hungry not just for a simple ship but bigger stuff. Their small rusty motor boats, or skiffs, have ship radar. They see the Maersk Alabama within their view and they chase after it. Fortunately Captain Phillips and the crew are prepared. The first day, the pirates’ motor blows on their boat. Captain Phillips and the crew think the have it solved. What they don’t know is that the pirates are fixing the motor in the boat overnight. The next day the pirates try again. Captain Phillips and the crew again take precautions like using the hose system to prevent them from coming on board. The pirates notice an area where a hose isn’t working. Perfect opportunity to climb aboard the ship and hold the crew hostage. It’s there where pirate Muse and Captain Phillips meet eye to eye. Phillips tries to get them to leave by offering $30,000 but they want more: millions. The ship is able to shut the power down and able to make the pirates fail in their attempt. However the US forces have received word and have arrived. They try to negotiate with Muse only the have the pirates get away in a lifeboat with Captain Phillips as hostage. They hope Phillips will be their ticket for ransom. That night the lifeboat is surrounded by navy ships and the crew is too frustrated and start turning on each other. Muse is stubborn with Phillips feeling he can’t go after going this far. The end scene adds to the intensity as it shows the whole standoff between the pirates, the Navy and the SEAL team. You’d be surprised to see how close Phillips was to being executed by the pirates. And even after you think it’s over, it’s not. The most remarkable thing about the movie is that this is one that really depicts pirates for the negative people that they are. Admit it. We’ve all been charmed by pirate stories: Captain Hook, Captain Kidd, Jack Sparrow, Blackbeard, you get the idea. Even the popular lines like: “Arrrrgh Matey;” “Shiver me timbers” and “Yo ho ho and a bottle of rum!” show how charmed we are with them. However the news about Somali pirates have given us a reality check about pirates and what they do. This film even shows pirate really are: dirty, merciless thieves who threaten people on ships for their riches. Another remarkable aspect the movie shows us is the sheer determination of those four pirates. You’d think that a group of four young Somali pirates not even 21 would not stand a chance against a huge freighter like the Maersk Alabama with all their devices and a prepared captain. However they were stubborn enough to fix a motor overnight, find a dry gap in the ship’s hosings, use a ladder to get to the deck, try a getaway with a lifeboat and even resist arrest with the US Armed Forces. The film is very focal on the pirates’ determination and their false sense of invincibility. It even shows how sometimes small has a competitive advantage over the big guy. It’s like that way in the animal kingdom too where insects can find their way into large prey. Just as much as it focuses on the Somali pirates and their determination, it also focuses on Captain Rich Phillips himself. It especially focuses on Rich’s smarts as he knows about Somali pirates before the attack and even prepares his crew just in case, his smarts when he’s under attack on board and his smarts during the attempted getaway. Even the assault by the navy and the aftermath had Rich Phillips in focus. It was as much about Richard Phillips as it was about the pirates. Tom Hanks once again delivered a remarkable performance: his best since Cast Away. It’s great to see him perform well in a movie that’s the least Hollywood-like I’ve seen him in. His performance really had a lot of range and was as much about Captain Phillips the person as it was about Captain Phillips the hostage. Equally as spectacular is the direction of Paul Greengrass. Actually It shouldn’t be that Greengrass, who made a name for himself with United 93 about a 9/11 terrorist operation botched by vigilante passengers, directs it. It’s like the film reminds us that the pirates of the seas are like the terrorists on airlines. Always were. Billy Ray did an excellent job of scriptwriting. Surprising that the writer of The Hunger Games is the scriptwriter here. It’s not to say the movie’s all Tom Hanks, Paul Greengrass and Billy Ray. Barkhad Abdi was also excellent as pirate Muse. He makes Muse look like a pirate who didn’t have much of a clue to what he got himself into. Barkhad Abdirahman was also great as the vicious pirate Bilal who possessed a false sense of invincibility. 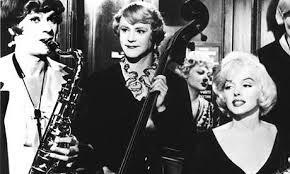 The emsemble of lesser-known American actors added to the quality of the film. The only other well-known actor in the film is Catherine Keener. Actually it’s surprising to see the role of Andrea Phillips, Captain Phillips’ wife, as such a small role. The music of Henry Jackman and the cinematography of Barry Ackroyd also added to the quality of the film. Captain Phillips is an excellent recreation of a moment in recent history that’s both about the moment and the man involved. Both Hanks and Greengrass do it again.